Saint Bernard – whose ministry is dear to those who have to speak on prayer – in writing to a bishop, advised him that all that was necessary for him was to speak well (meaning to instruct, to discourse); then to do well in giving good example; and finally, to devote himself to prayer. And we, addressing this to all Christians, shall dwell upon the third point, which is prayer. First, let us remark in passing that, although we condemn certain heretics of our time who hold that prayer is useless, we nevertheless do not hold with other heretics that it alone suffices for our justification. We say simply that it is so useful and necessary that without it we could not come to any good, seeing that by means of prayer we are shown how to perform all our actions well. I have therefore consented to the desire which urges me to speak of prayer, even though it is not my intention to explain every aspect of it because we learn it more by experience than by being taught. 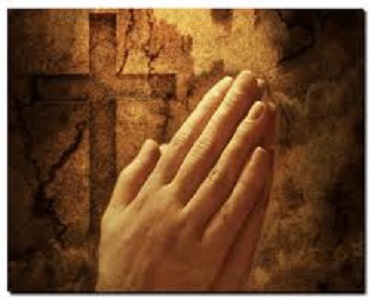 Moreover, it matters little to know the kind of prayer. Actually, I would prefer that you never ask the name or the kind of prayer you are experiencing because, as Saint Antony says, that prayer is imperfect in which one is aware that one is praying. Also, prayer which one makes without knowing how one is doing it, and without reflecting on what one is asking for, shows clearly that such a soul is very much occupied with God and that, consequently, this prayer is excellent. We shall treat, then, on the following four Sundays, of the final cause of prayer; of its efficient cause; of that which properly should not be called the “material cause,” but rather the “object” of prayer; and of the effective cause of prayer itself. For now, I shall speak only of its final cause. But before entering upon the subject of prayer, I must say three or four little things that it is well to know. Four operations pertain to our understanding: simple thought, study, meditation, and contemplation. Simple thought occurs when we go running over a great number of things, without any aim, as do flies that rest upon flowers, not seeking to extract any juice from them, but resting there only because they happen upon them. So it is with our understanding, passing from one thought to another. Even if these thoughts be of God, if they have no aim, far from being profitable, they are useless and detrimental and are a great obstacle to prayer. Another operation of our understanding is study, and this takes place when we consider things only to know them, to understand them thoroughly or to be able to speak correctly of them, without having any other object than to fill our memory. In this we resemble beetles which settle upon the roses for no other end than to fill their stomachs and satiate themselves. Now, of these two operations of our understanding we shall speak no more, because they are not to our purpose. Let us come to meditation. To know what meditation is, it is necessary to understand the words of King Hezekiah when the sentence of death was pronounced upon him, which was afterward revoked on account of his repentance. “I utter shrill cries,” he said, “like a swallow,” and “I moan like a dove,” in the height of my sorrow. (Isaiah 38:14) He meant to say, When the young swallow is all alone and its mother has gone in search of the herb called “celandine” in order to help it recover its sight, it cries, it pips, since it does not feel its mother near and because it does not see at all. So I, having lost my mother, which is grace, and seeing no one come to my aid, “I utter shrill cries.” But he adds, “I moan like a dove.” We must know that all birds are accustomed to open their beaks when they sing or chirp, except the dove, who makes her little song or cooing sound whilst holding her breath – and it is through the movement up and down which she makes of it, without letting it escape, that she produces her song. In like manner, meditation is made when we fix our understanding on a mystery from which we mean to draw good affections, for if we did not have this intention it would no longer be meditation, but study. Meditation is made, then, to move the affections, and particularly that of love. Indeed, meditation is the mother of the love of God and contemplation is the daughter of the love of God. But between meditation and contemplation there is the petition which is made when, after having considered the goodness of our Lord, his infinite love, his omnipotence, we become confident enough to ask for and entreat him to give us what we desire. Now there are three kinds of petition, each of which is made differently: The first is made by justice, the second is made by authority, and the third is made by grace. The petition which is made by justice cannot be called “prayer,” although we use this word, because in a petition of justice we ask for a thing which is due to us. A petition which is made by authority ought not be called “prayer” either; for as soon as someone who has great authority over us – such as a parent, a lord, or a master – uses the word “please,” we say immediately to him, “You can command,” or “Your ‘please’ serves as my command.” But true prayer is that which is made by grace, i.e., when we ask for something which is not due to us at all, and when we ask it of someone who is far superior to us, as God is. The fourth operation of our understanding is contemplation, which is nothing other than taking delight in the goodness of him whom we have learned to know in meditation and whom we have learned to love by means of this knowledge. This delight will be our happiness in Heaven above. The early Christians who had been trained by Saint Mark the Evangelist were so assiduous is prayer that many of the ancient fathers called them “supplicants,” and other named them “physicians,” because by means of prayer they found the remedy for all their ills. They also named them “monks,” because they were so united; indeed, the name “monk” means “single.” Pagan philosophers said that man is an uprooted tree, from which we can conclude how necessary prayer is for man, since if a tree does not have sufficient earth to cover its roots it cannot live; neither can a man live who does not give special attention to heavenly things. Now prayer, according to most of the fathers, is nothing other than a raising of the mind to heavenly things; others say that it is a petition; but the two opinions are not at all opposed, for while raising our mind to God, we can ask him for what seems necessary. The principal petition which we ought to make to God is that of union of our wills with his, and the final cause of prayer lies in desiring only God. Accordingly, all perfection is contained therein, as Brother Giles, the companion of Saint Francis of Assisi, said when a certain person asked him what he could do in order to be perfect very soon. “Give,” he replied, “one to One.” That is to say, you have only one soul, and there is only one God; give your soul to him and he will give himself to you. The final cause of prayer, then, ought not to be to desire those tendernesses and consolations which our Lord sometimes gives, since union does not consist in that, but rather in conforming to the will of God.